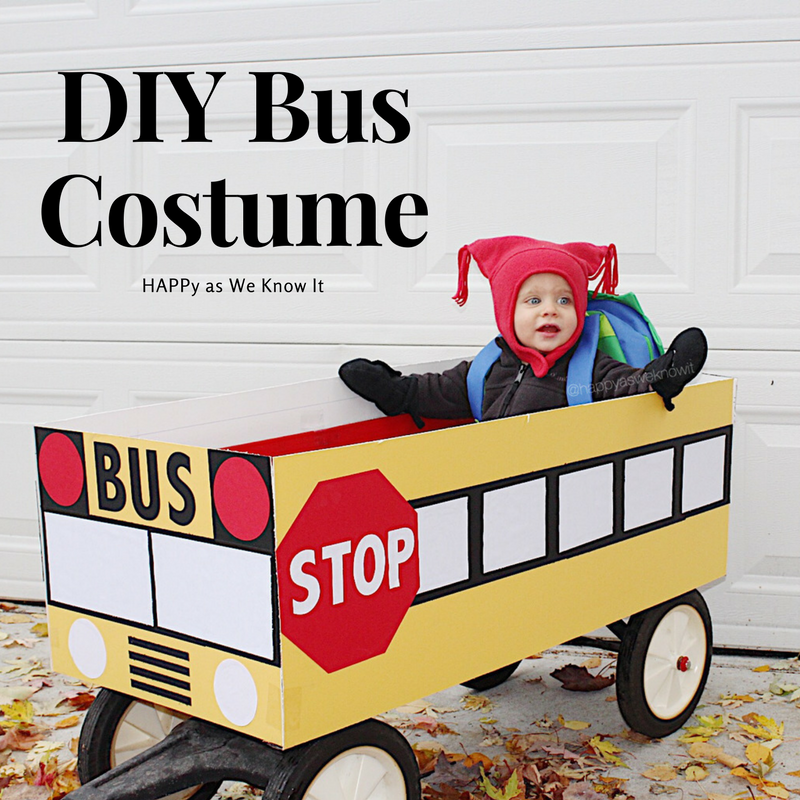 To make the bus really was not difficult at all, honestly all it took was some cutting and gluing skills and a Friday "date" night for my husband and I to put it all together. Yes, we live on the edge with our dates these days. All in all, it cost us a little under $20 total and a few hours of time to put the finished product together. To help Asher "fit the part", we snagged a sweet little toddler backpack for him to wear - which also served the purpose of holding his water, snacks etc. as well. You could certainly even use it for the purpose of holding all of your little's "trick or treat" goodies. So there you have it. Let's not forget to mention the fact that having our bus made toting around our toddler incredibly easy as well. He was riding in style, chanting "boos" along the way for all to hear. I am thinking we may have to "wear" our costume beyond the month of October.